One of many uplifting prints by London-based artist Freya. I've been following your blog for a while, but suddenly everytime I open up my google reader a lovely post from tea for joy pops up and now i'm here all the time! Love this illustration! it's so cute. How cute is that and it does make you smile. I saw these, very cute! You fill me with happiness! 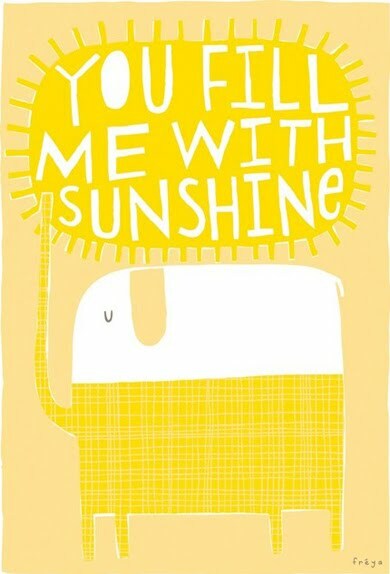 I love the sentiment as well as how cheerful and bright the yellow is! Great - we seem to have similar tastes!